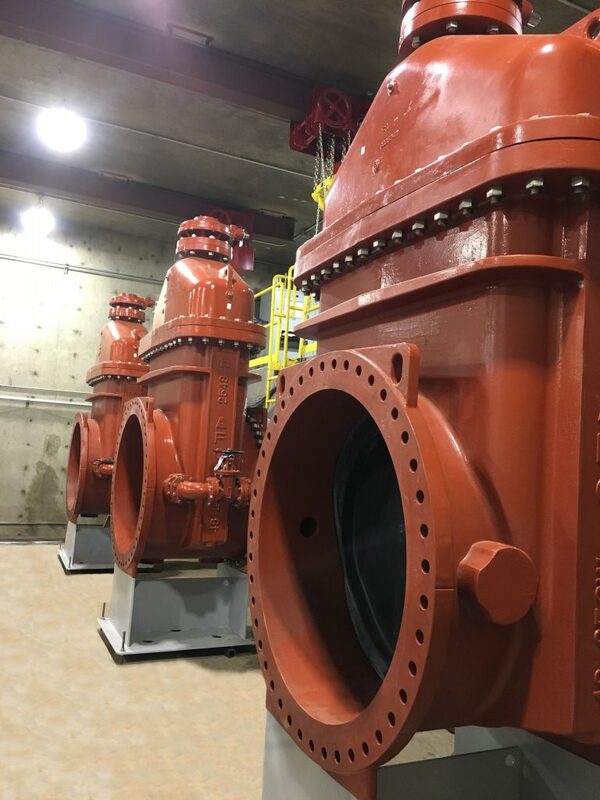 AMERICAN Flow Control provided three 48-inch resilient wedge gate valves for the Rate of Flow Control Station, which manages and maintains the water flowing to the Las Vegas Strip. 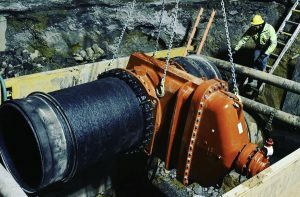 When it came time for the SNWA to install new gate valves at the station as part of an overall upgrade, the water authority had a choice – continue using the large diameter rubber seated butterfly valves that had been in its system for years or move to AMERICAN Flow Control’s resilient wedge gate valves. With its high pressure rating, three moving parts, zero allowable leakage, lower operating torques and a resilient seat that is more durable to line debris, the AFC Series 2500 was SNWA’s valve of choice. 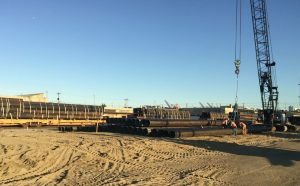 The water authority installed three 48-inch AFC resilient wedge gate valves at the ROFCS in late 2018. One benefit of this project is it gives the SNWA flexibility to isolate the water flow at the ROFCS station as needed. Previously for work to be performed in the station, the line had to be drained, which led to water loss. With the AMERICAN resilient wedge gate valves, the line can quickly and easily be isolated. In addition, the resilient wedge gate valves give the water authority flexibility and ease when it comes to repairs. “It is important that we have the ability to quickly isolate the line, change out a seal and be back in business supplying water to the Las Vegas Strip,” said Ray McElroy, SNWA In-Valley mechanical supervisor. 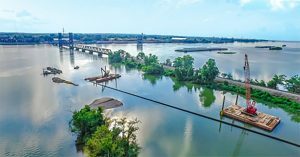 The SNWA was formed in 1991 by seven local water and wastewater agencies to address water issues on a regional – rather than individual – basis. The water authority manages treatment and delivery for Las Vegas and the surrounding areas, and currently serves more than 2.2 million residents in Southern Nevada and has the ability to treat and deliver 900 MGD.